Whew. I'm writing this review for the second time and uploading it right away. The original review was supposed to go up during the weekend as a scheduled post but turns out that it got deleted so I'm a day late of the deadline because I'm rewriting this. Anyway, today's review is on the O'Melon Chameleon Essence Queen CC Cushion. The name is quite a mouthful but the packaging is so pretty it definitely is fit for a Queen. The box packaging is in a pink and lavender hologram. The compact is in gold and the cover also has this circle or polka dotted hologram reflective paper. This unique cushion has a 3 shade swirl made of 50% beige, 25% white and 25% pink. Each shade has a particular target effect on the skin. Beige covers dull tones, freckles, blemishes and pimples. White contains various plant extract that gives a smooth, natural makeup look and also helps preserve makeup. Pink contains rose essence that gives a bright and healthy complexion. This cushion also has SPF45 PA++ that protects your skin from the sun and it's waterproof and vegetal cooling essence that soothes skin, treats wrinkles and boosts elasticity is perfect for the summer heat. I'm not entirely sure if there are other shades for this cushion but I received #11 Cover Beige which is unfortunately light for my skin tone. Since I'm slightly darker because of the summer, it is very obvious. In the photos above, I purposely didn't bring the color down on my neck so you can see the shade difference. I did notice that it oxidized on my skin after an hour but not as close to my skin color so it was still light. I found that a cream bronzer or darker cream foundation used as a contour helps make this cushion look more natural on my skin without my face looking too ghostly. I love how it feels on the skin although I found it a bit hard to blend the 3 shades together at first try but I got better at it as I continued to use the product. I also like the sponge puff that comes with it that helps in really blending and pressing the product onto the skin. The product gives a really smooth and natural look but as I said, it would probably better if I have the exact shade since it's very noticeable and this is way too light for my skin tone. It evens out skin tone and eliminated redness and just brightened out my skin. I actually like this better than the Too Cool For School Dino Plato UFO Cushion I reviewed a few months back since this is a shade darker than that one. I'm hoping that this CC cushion would be a better shade match for me within the next month since it's slowly transitioning into fall here in the East Coast. Staying power was actually pretty good and it lasted for 5 hours with heavy sweating and what I like about it is that it actually faded evenly on my skin and it didn't make my skin patchy as others BB and CC Creams do when they slowly disappear from your skin. And even when it faded my skin didn't look dull as it usually is without base makeup. Though O'Melon was a brand I haven't heard of before I tried using this product, I'm now looking forward to more items from the brand because this cushion was actually a great one. As I said, my only issue with this is the shade match. The O'Melon Chameleon Essence Queen CC Cushion also comes with an extra sponge puff so you can switch your puffs out if you want to clean the other one. I am an advocate in clean makeup Brushes and sponges to prevent skin irritation and blemishes so it is good to have extra tools! 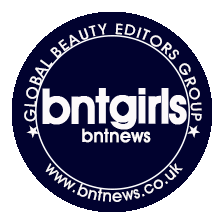 This is one product I recommend and this month's BNT Beauty Box was a sure hit for me!